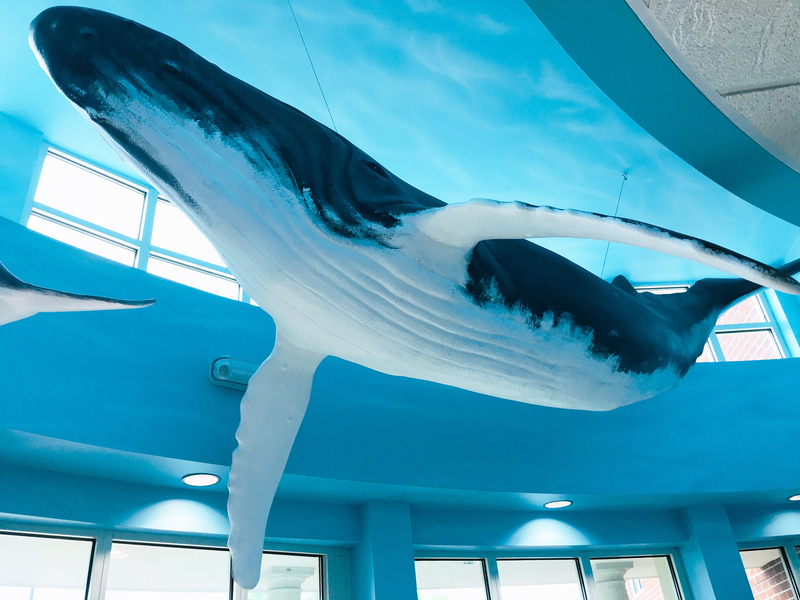 This Dental office in Greensboro, NC, is one of our favorite projects to date. 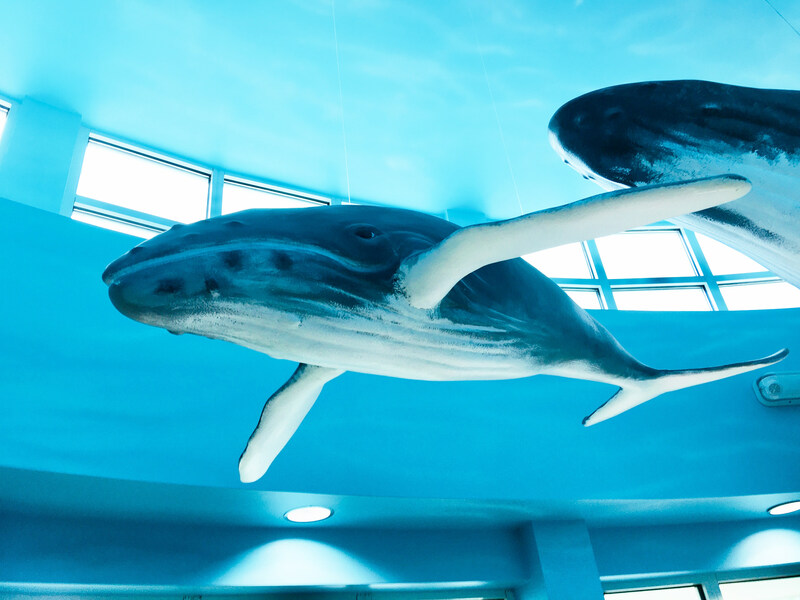 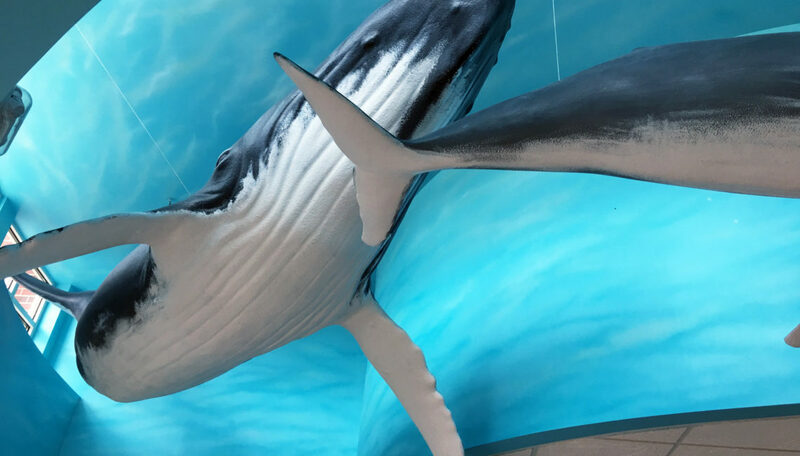 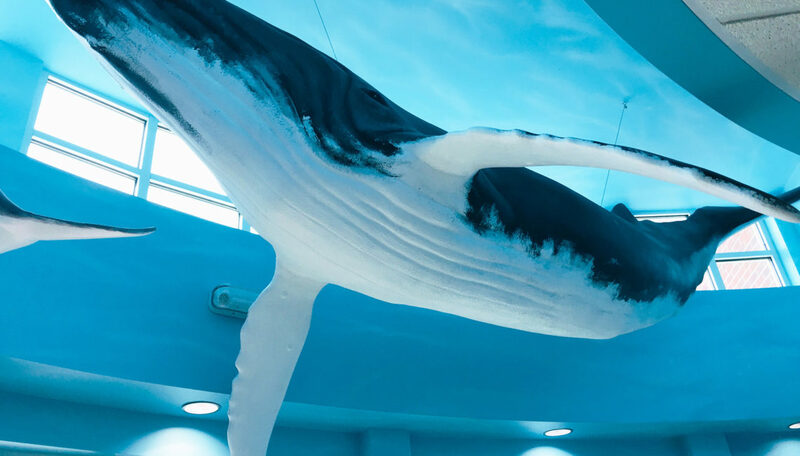 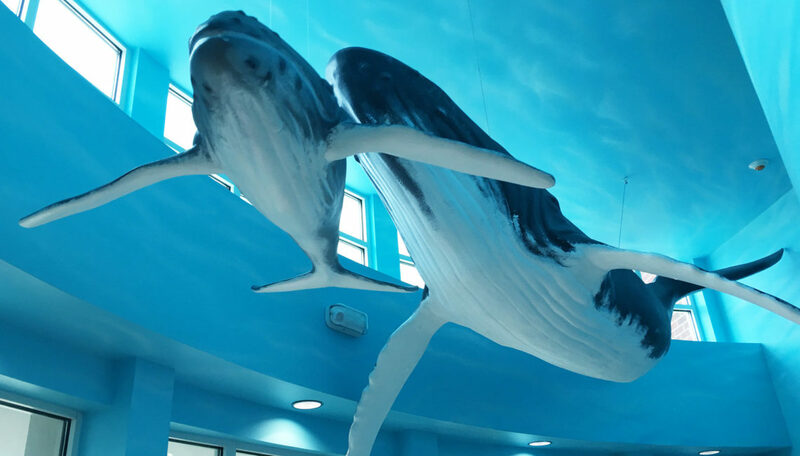 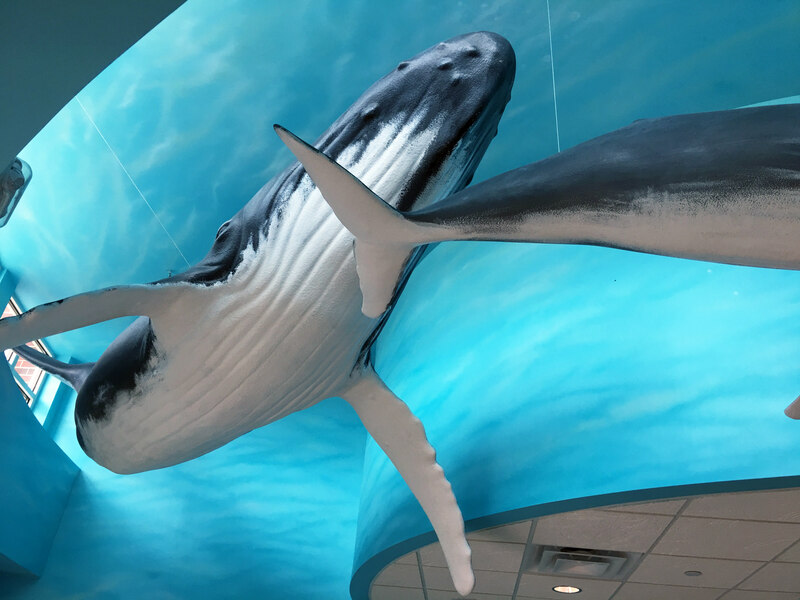 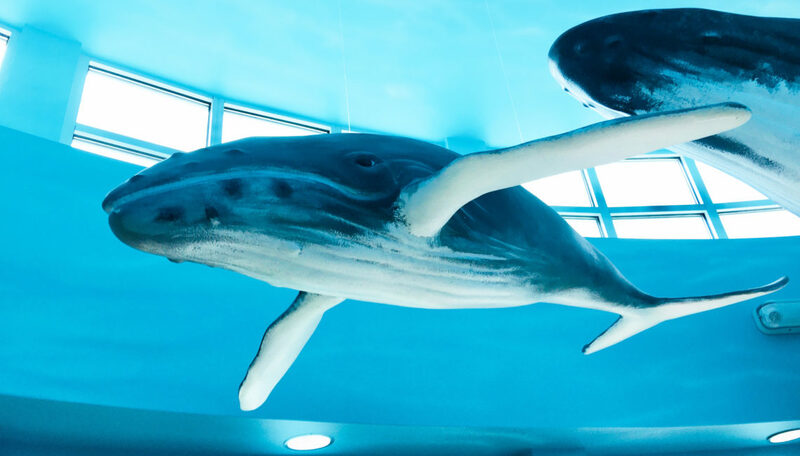 This is a 20′ long Humpback Whale mother and calf swimming through the open ocean and features a 21′ ceiling painted in a flowing ocean background. The spectacular natural light in this space is perfect for creating dramatic depth and movement. 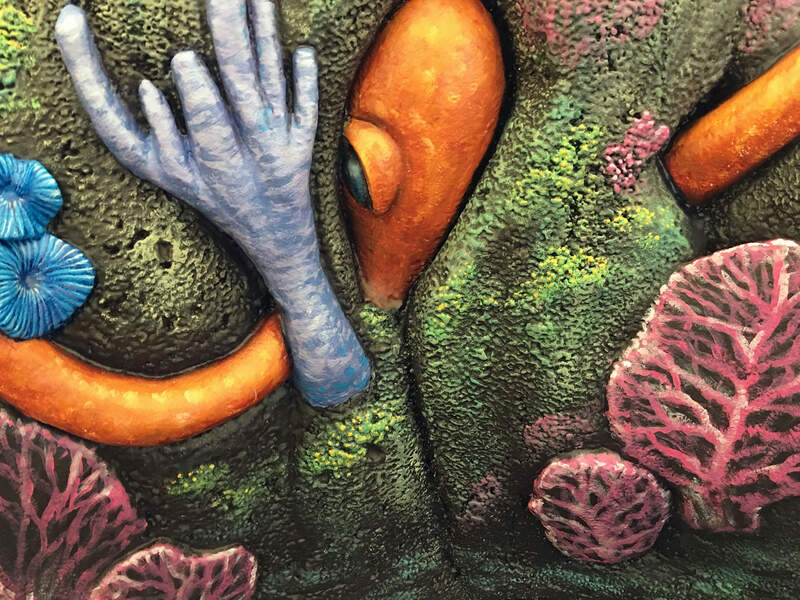 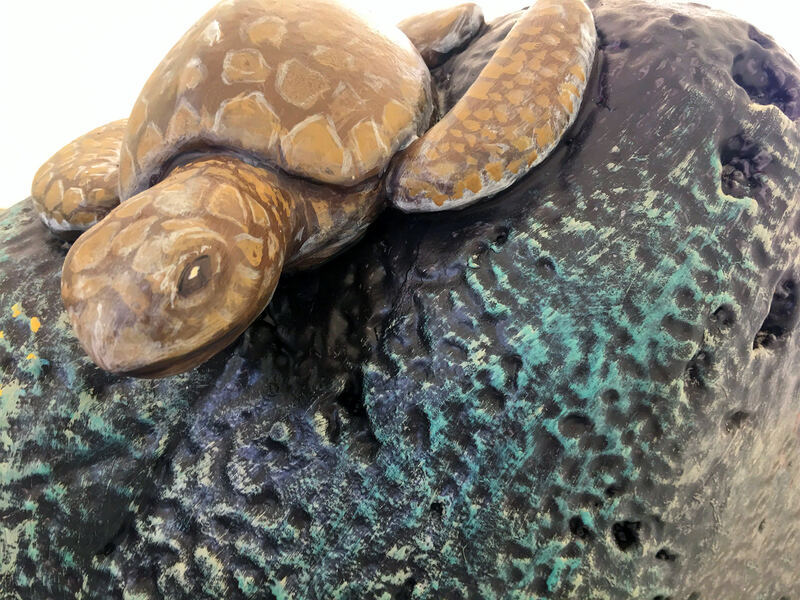 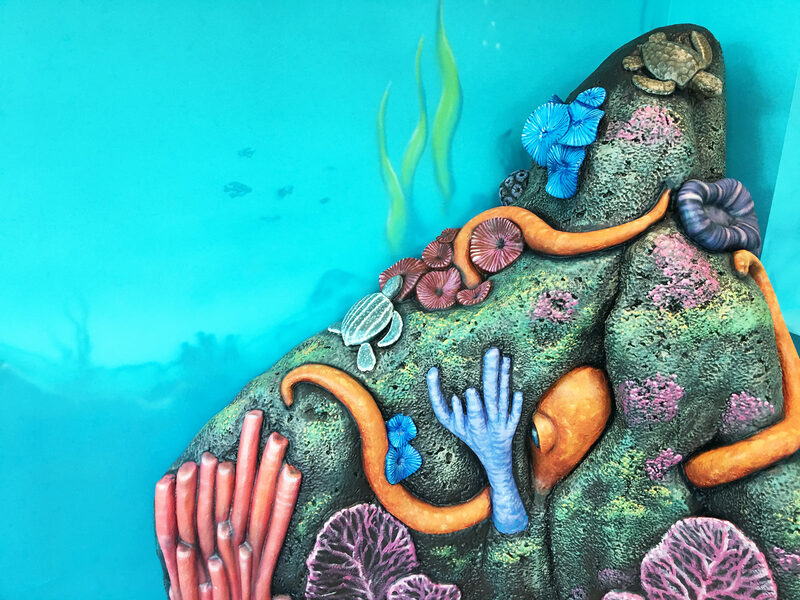 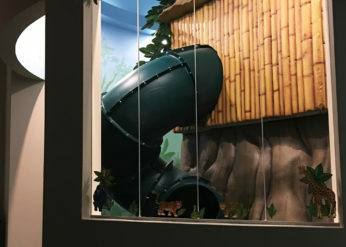 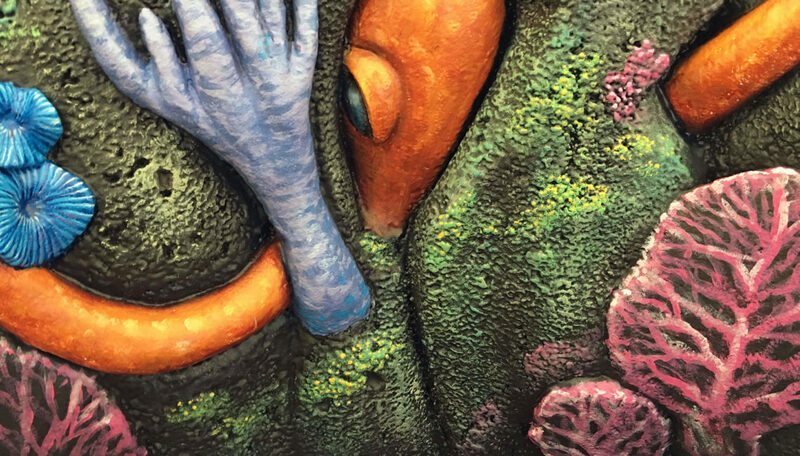 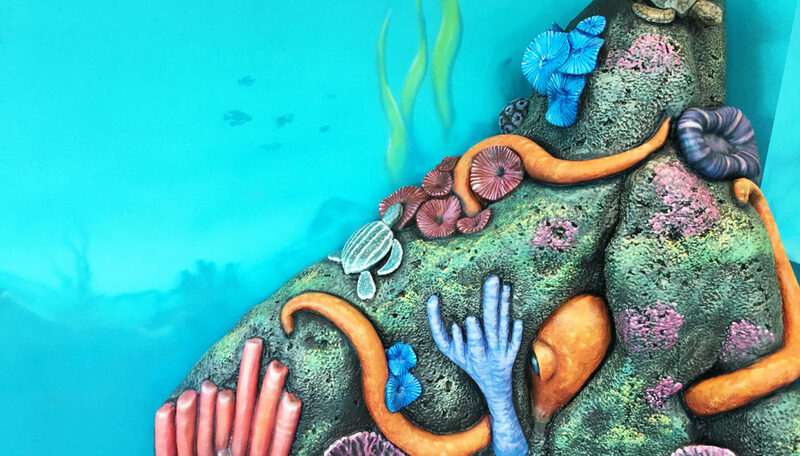 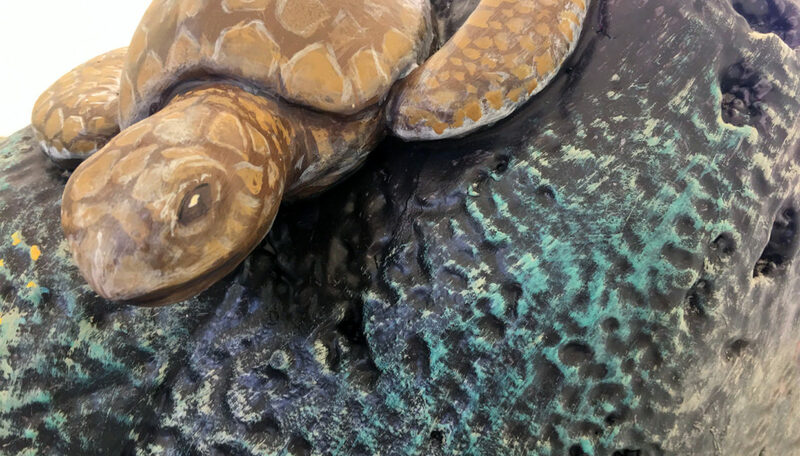 The office also features hand sculpted coral, as well as a selection of our 4D Murals to effectively carry the theme throughout other areas of the facility.